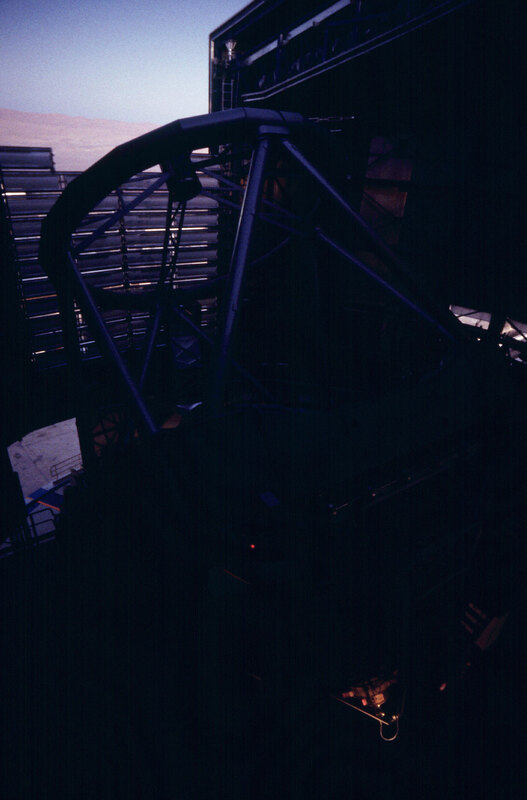 First calibration observations with ANTU after sunset. 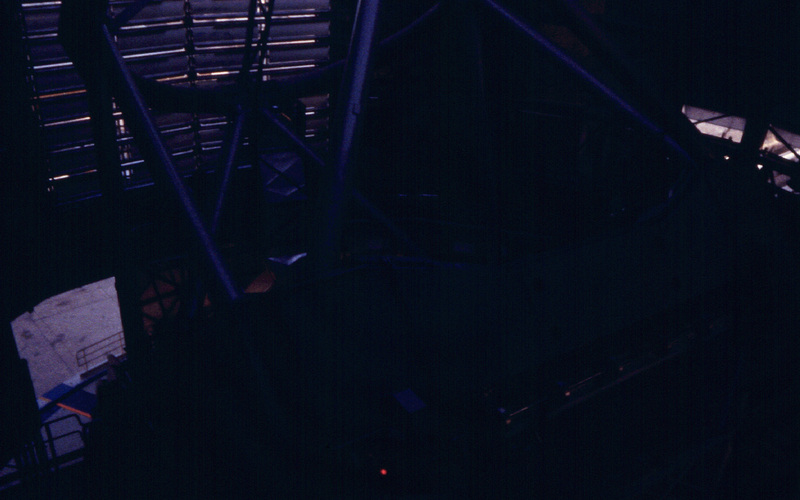 The last afterglow is visible on the FORS1 instrument, mounted within the M1 Mirror Cell at the bottom of the telescope structure. 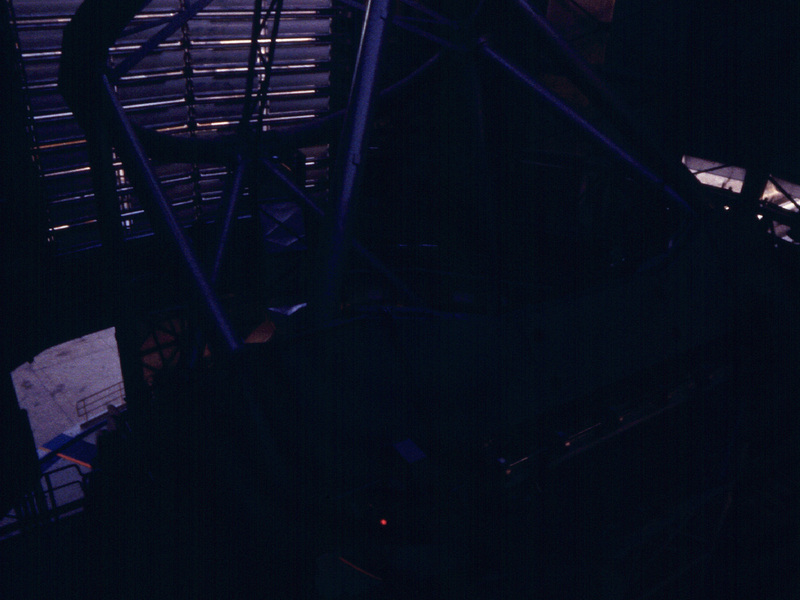 Astronomical observations begin soon after sunset at Paranal. Normally, they start with a series of test and calibration exposures that serve to determine the exact status of the various instruments, e.g., in terms of sensitivity at different wavelengths. Some of these exposures are performed on a white target on the inside of the telescope enclosure, others are made on the sky, as it gets progressively darker. If they are included in a programme, observations of comparatively bright objects may be carried out while the sky is still relatively bright. However, those of the faintest objects must wait until the period of "astronomical twilight" is over, i.e., when the Sun is at least 18° below the horizon.